At Fancher Law Firm, PLLC, in Brentwood, Tennessee, we are here to help you with all of the serious and pressing legal issues affecting your life, your family, your freedom and your future. 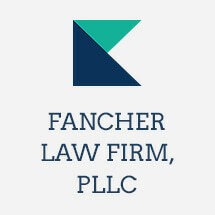 Fancher Law Firm, PLLC, represents clients with immigration matters in all 50 states. Assisting clients in obtaining non-immigrant and immigrant visas, and removal proceedings. Fluent in Spanish, we can better communicate with you if English is not your first language, and we have earned top ratings and Clients' Choice Awards from Avvo for our impeccable professionalism and unmatched client service. Helping our clients obtain the justice they deserve is our passion, and we promise to do whatever we can to help you obtain the most favorable outcome possible for your situation. Fancher Law Firm offers affordable payment plans, and consultations can be done via Skype, telephone, or in-person, including appointments on Saturdays. We treat our clients with the highest respect and professionalism as we understand that you are going through some of the most difficult times of your lives. We know the consequences of how a criminal record can affect your employment, credit, education opportunities, and immigration status. At Fancher Law Firm, PLLC, we are here to face any challenges together and we will guide you through the criminal process, and fight to protect your rights, and to obtain the most favorable outcome for you. To find out more about how Fancher Law Firm, PLLC, can best help you with your issue and assist you in securing a brighter future for yourself and your loved ones, contact our office to schedule an initial consultation.